Livingston Foundation trustees Charlie Gregory (standing, left), Greg Gregory, Michael Golden, Milton Brannon, Jonathan Golden (seated, left) and Greer Brannon met recently with Livingston Fellow Shuo Chen. Shuo Chen and Matthew Magee spend a lot of time in front of computer screens. They are not posting to Facebook or watching videos on YouTube. Rather, they are mining data for their respective research projects on brain mapping and tuberculosis. Each is a PhD student, Chen in the Department of Biostatistics and Bioinformatics and Magee in the Department of Epidemiology. And each is now a Livingston Fellow, having been chosen as an inaugural recipient of a scholarship for doctoral students made possible by a gift from the Livingston Foundation. “Now I can buy a very fast PC,” says Chen, who also has received awards from the Organization for Human Brain Mapping and the American Statistical Association. He will need that fast PC to continue his work collecting neuroimaging data using 3D images of the brain. His research involves analyzing activity and interactivity of different regions of the brain, both in rest mode and task-induced mode when prompted by stimuli. Chen’s goal is to draw population-level inferences from his findings that could improve disease diagnosis and prognosis and lead to personalized treatment plans for people with brain disorders and diseases, such as depression. Before coming to Emory, Chen—originally from China—worked as a biostatistician at Vanderbilt University, where he earned his ms degree in biomedical informatics. 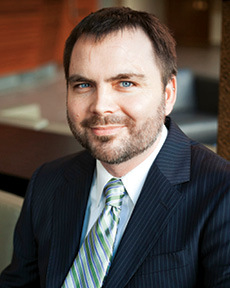 Magee, who has an MPH degree in epidemiology from the University of Illinois at Chicago, also draws support from a research development award from Emory’s Laney Graduate School. Based in Atlanta, the Livingston Foundation chose to provide scholarships for doctoral students after its chair, Jonathan Golden, learned of the need from Lawrence and Ann Estes Klamon, fellow members of the RSPH Dean’s Council and co-chairs of the RSPH Campaign Committee. Golden presented the idea of creating the Livingston Scholars Fund to the foundation’s board of trustees.